Leiserowitz, A., Maibach, E., Roser-Renouf, C., Feinberg, G., & Rosenthal, S. (2016). 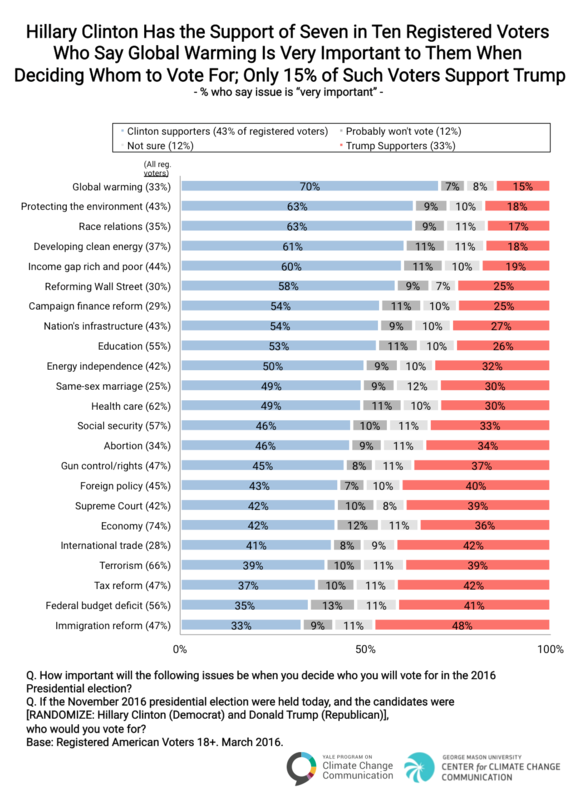 Global warming “issue voters” strongly prefer Clinton over Trump for president. Yale University and George Mason University. New Haven, CT: Yale Program on Climate Change Communication.